The way you look is often a large part of how you feel. Luckily, your dermatologist not only treats conditions of the skin but provides aesthetic procedures to help you look and feel great. One of the most common dermatologic procedures is laser hair removal, which removes unwanted hair. Find out more about laser hair removal with Dr. Robert Zabel at Center for Dermatology in Lakeville, MN. Laser hair removal uses a strong, concentrated beam of light aimed at the unwanted hair. The contrast between the pigment of the hair and the skin allows the hair to absorb the light, damaging the follicle from which it grows to prevent future hair growth. Most patients report that laser hair removal feels like a rubber band snapping on the skin. Laser hair removal helps remove unwanted hair from any part of the body, most commonly the facial area, bikini line, armpits or legs. 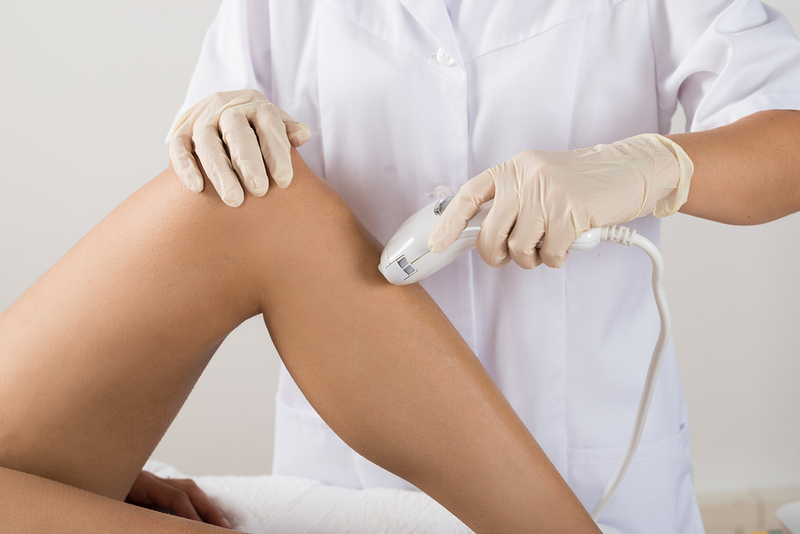 A good candidate for laser hair removal should have realistic expectations for their procedure. Patients will require several hair removal sessions before their hair stops growing. Additionally, most laser hair removal systems work best on those with contrasting skin and hair, such as someone with fair skin and dark hair. Candidates should be in good general health and able to undergo the procedure. The procedure for laser hair removal begins with placing a cooling gel onto the area of the skin with the unwanted hair. Your doctor then aims the laser hair removal system’s wand at the hairs and slowly moves it along the work area. You may experience redness or slight discomfort after treatment which should resolve itself in a day or two. Your doctor may give you a cream or ointment to help with inflammation. For more information on laser hair removal, please contact Dr. Robert Zabel at Center for Dermatology in Lakeville, MN. Call 952-469-5033 to schedule your appointment with Dr. Zabel today!